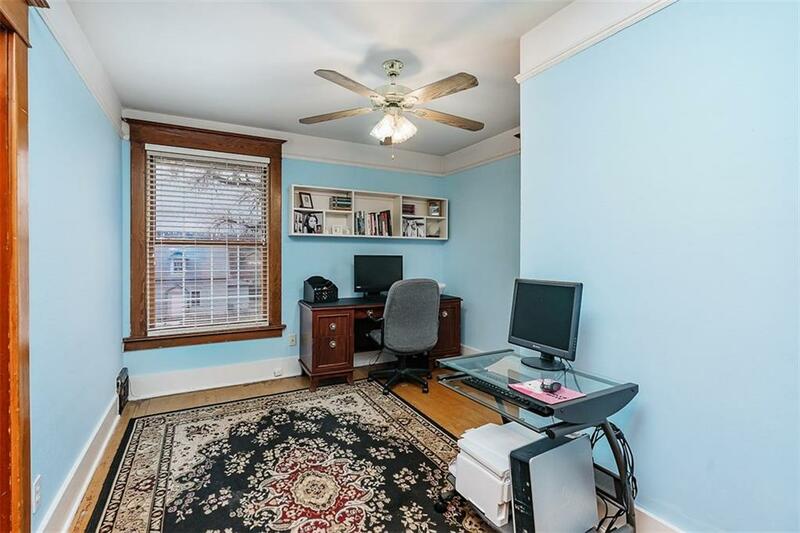 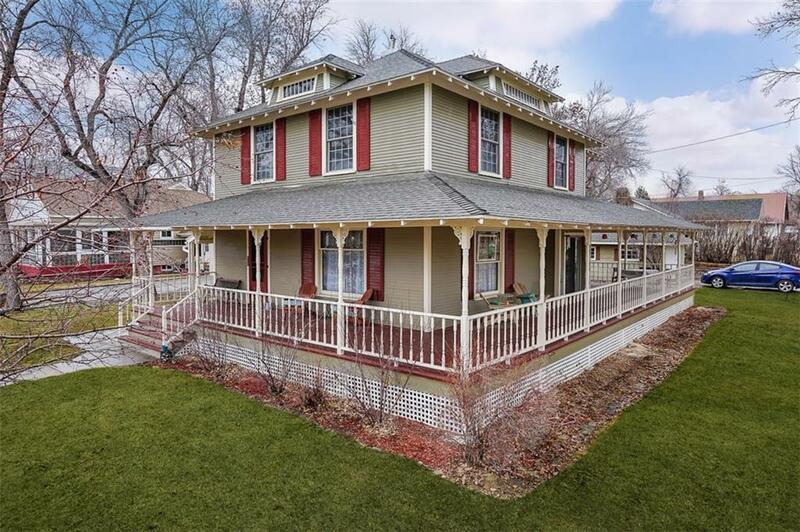 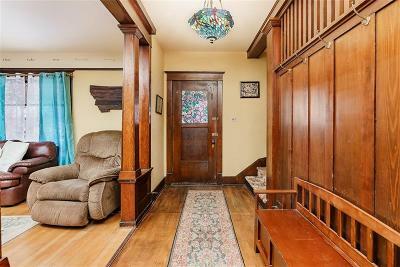 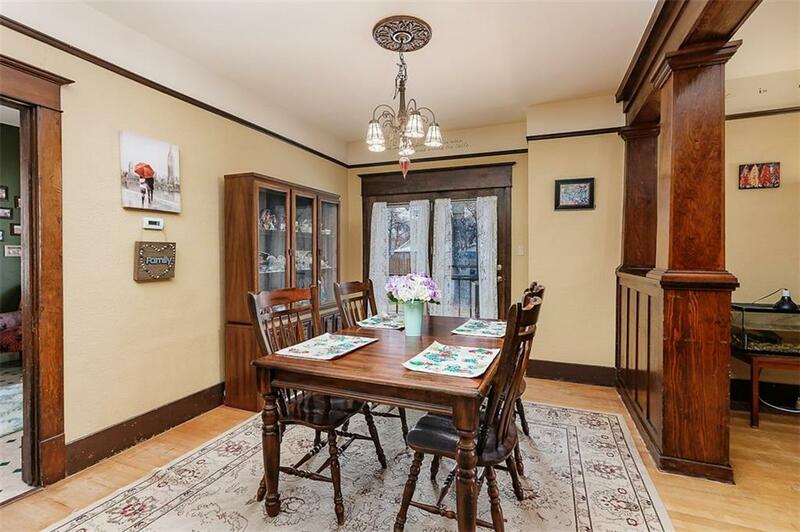 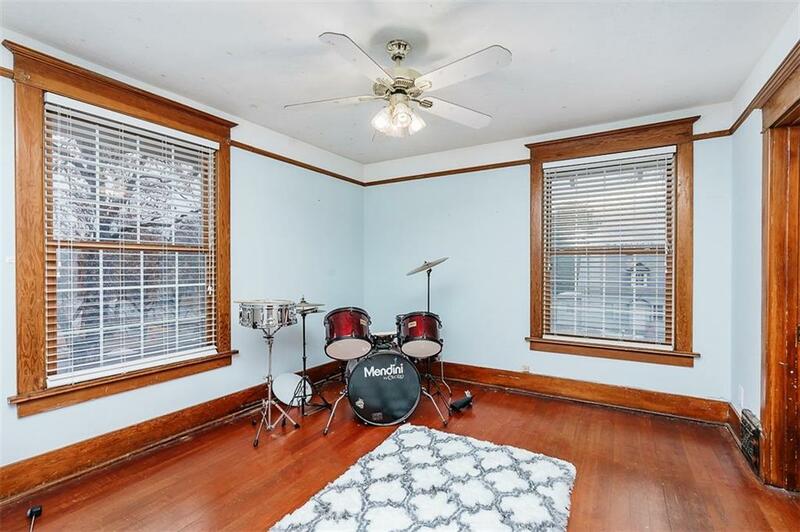 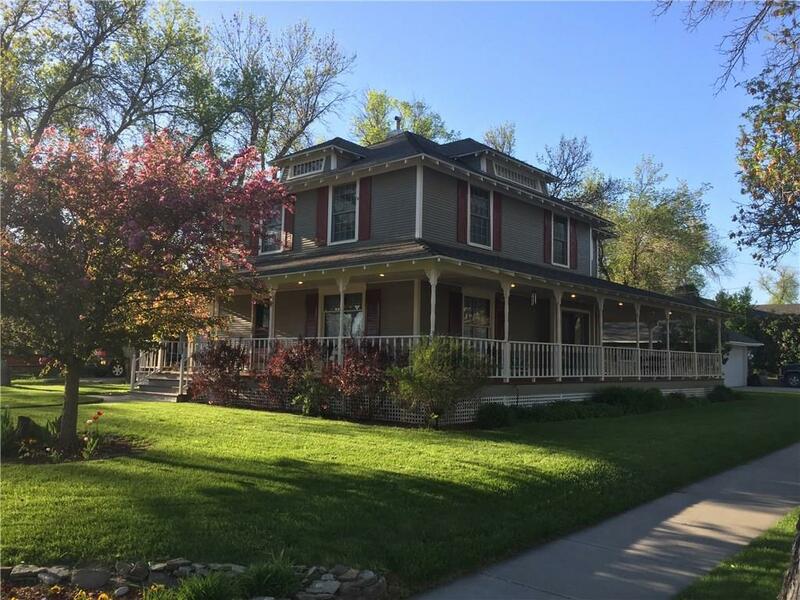 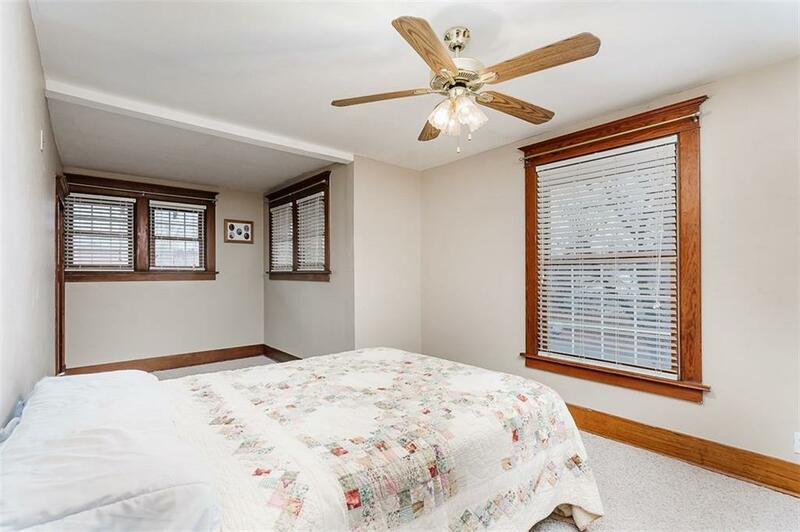 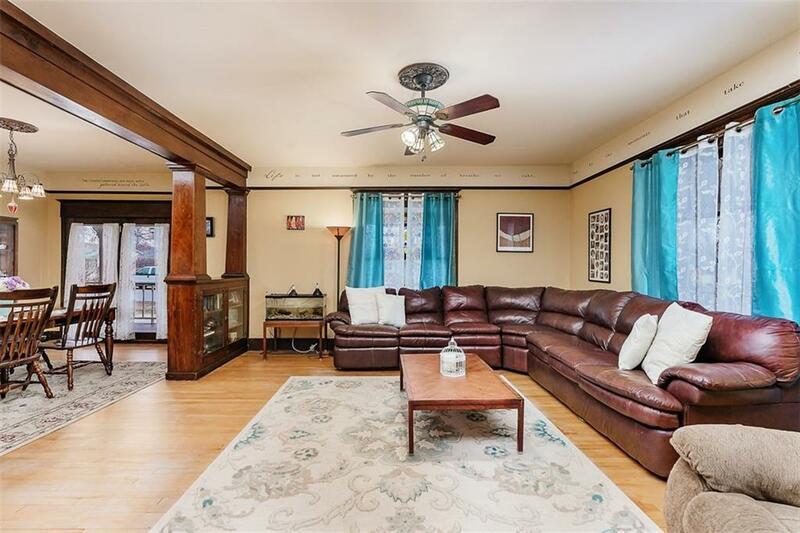 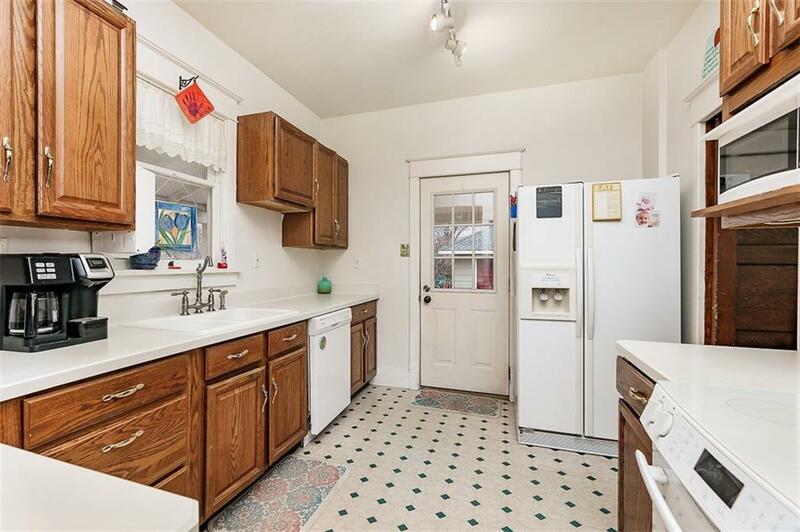 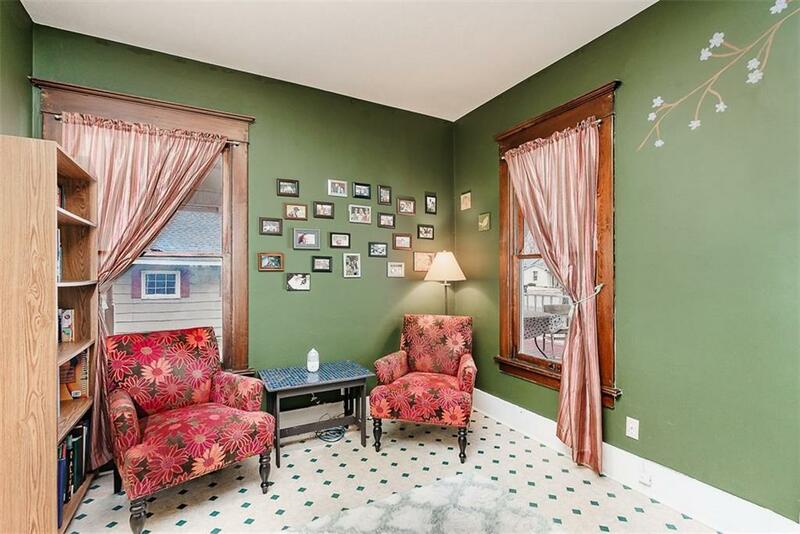 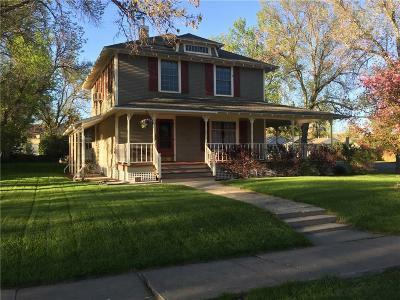 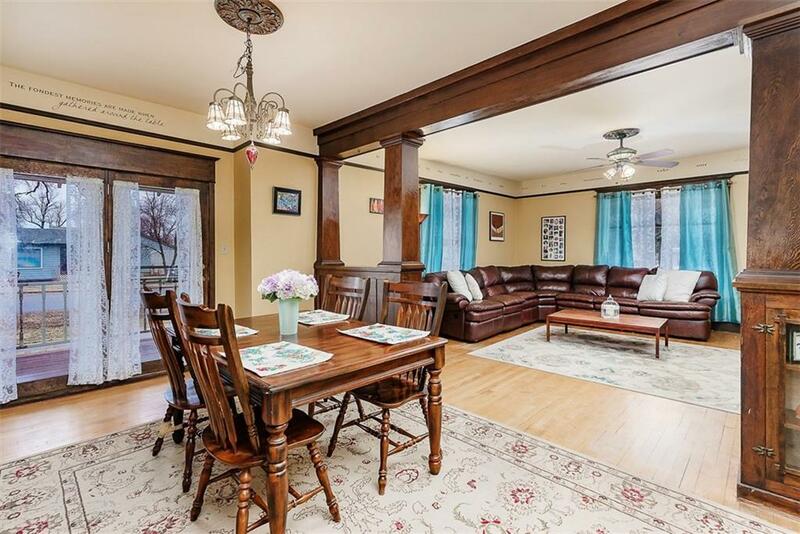 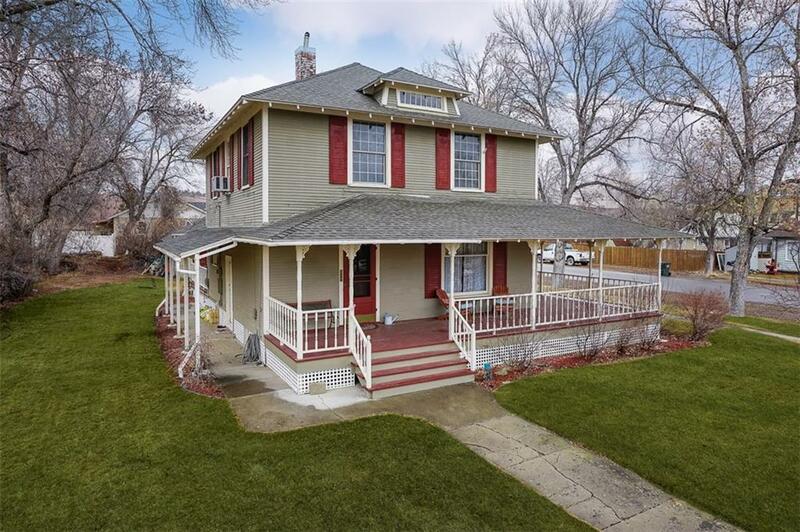 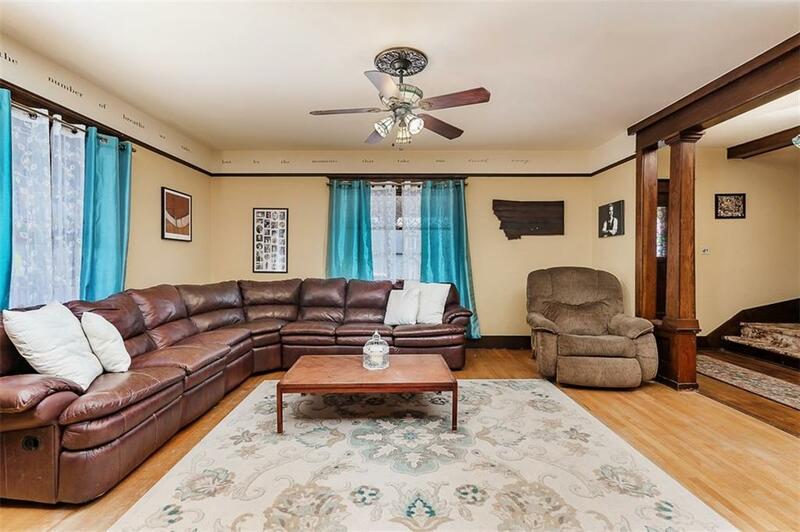 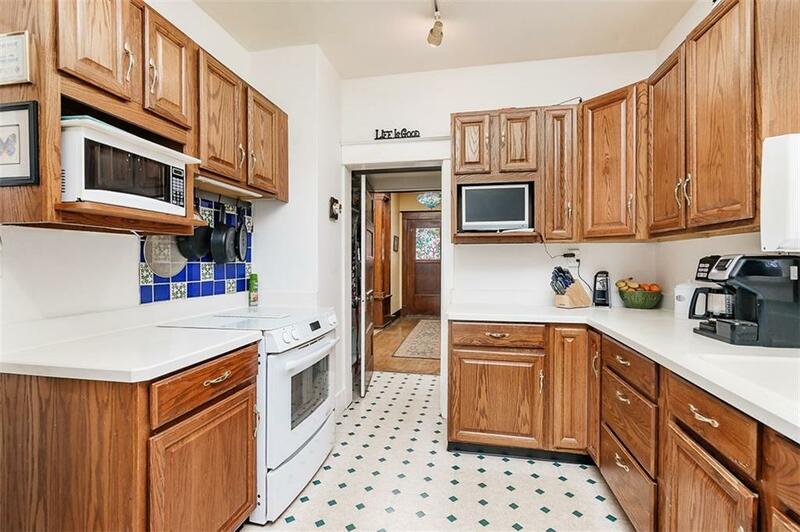 Old World Charm exudes from this spacious home, full of character and very homey with original hardwood floors, wood trim and doors. 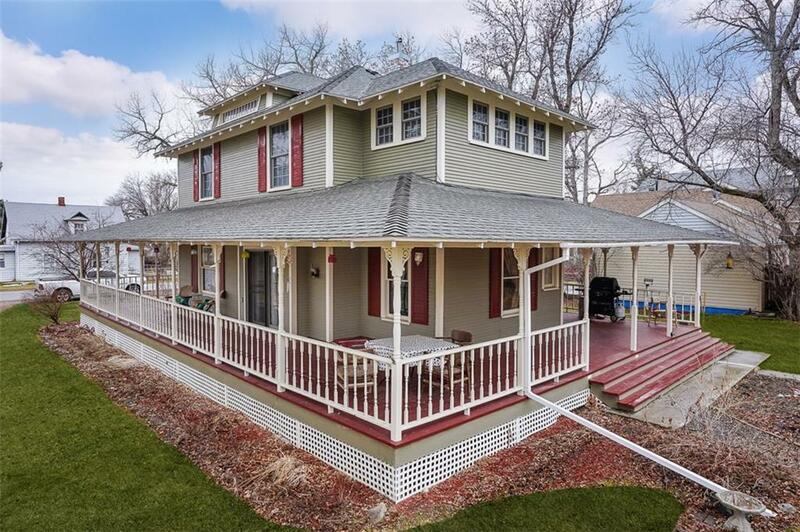 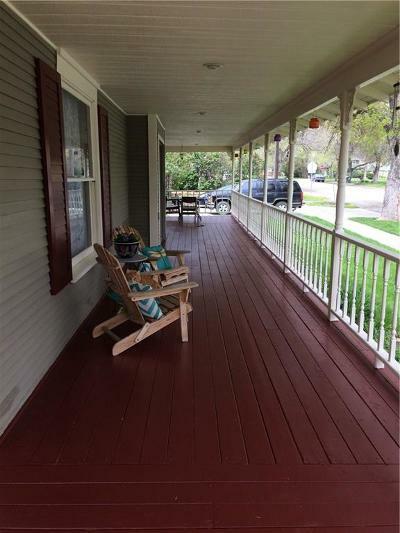 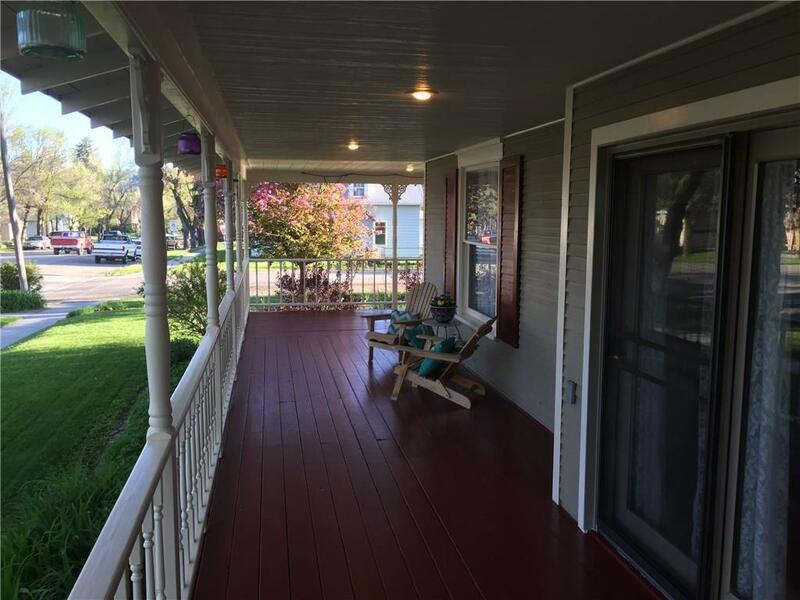 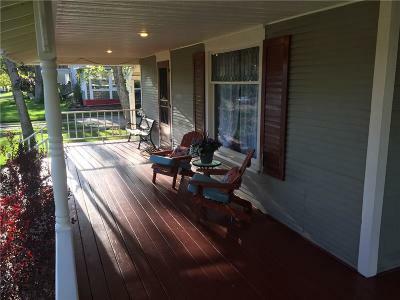 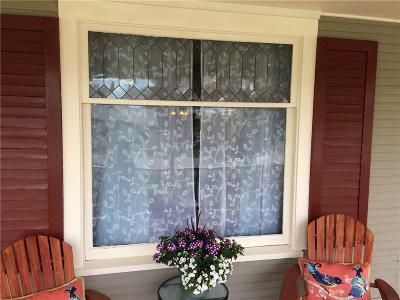 Have your morning coffee on the gorgeous wrap around porch, perfect for entertaining your guests. 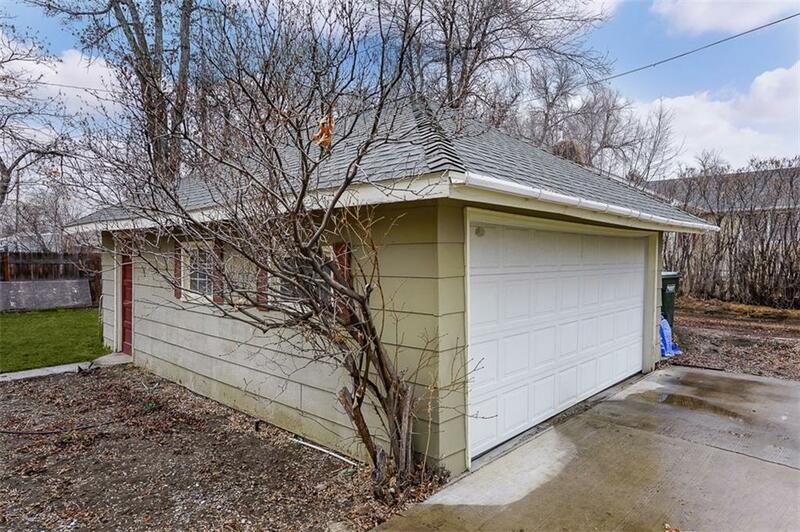 Beautifully landscaped with mature trees, underground sprinkling, alley access and a 2 car detached garage. 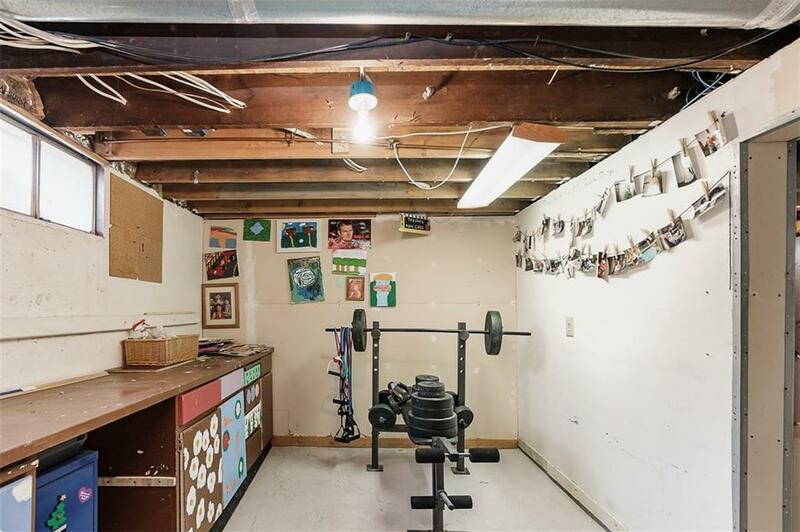 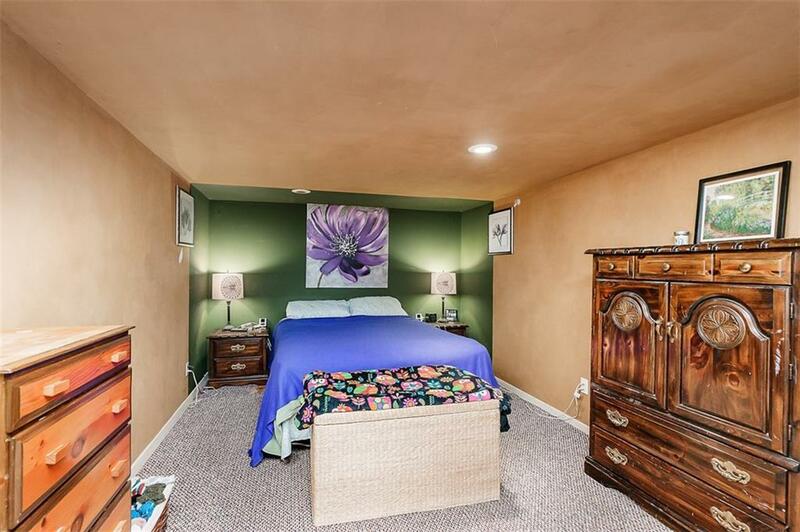 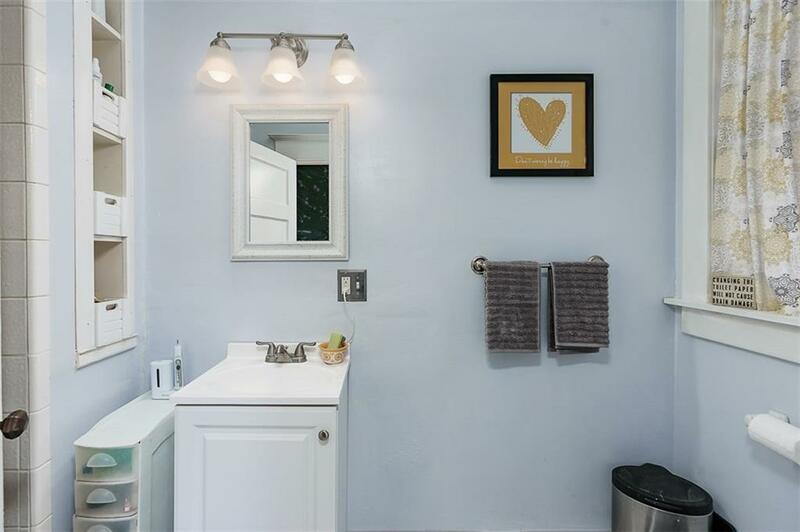 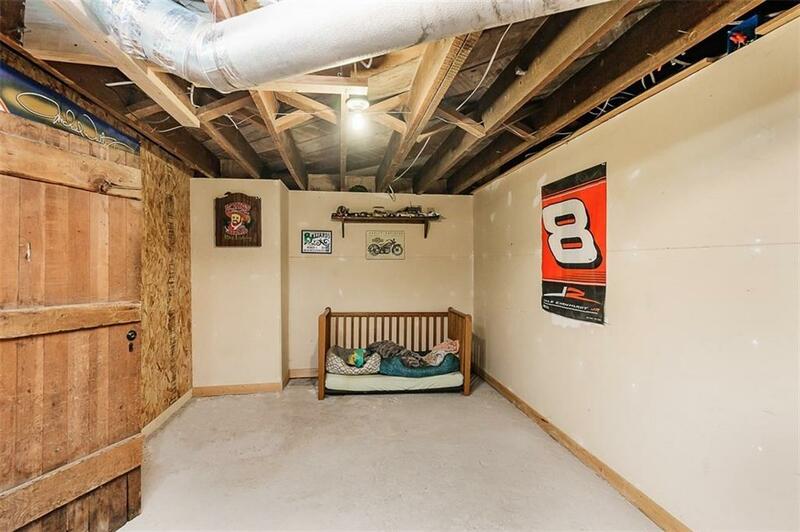 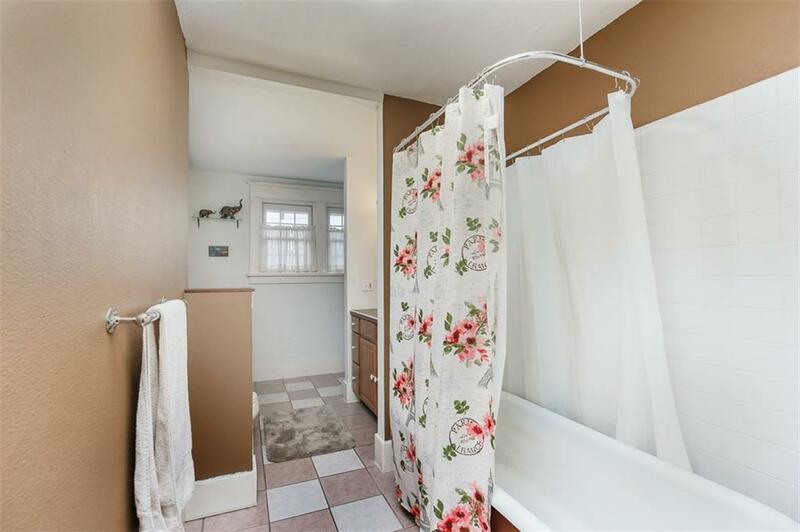 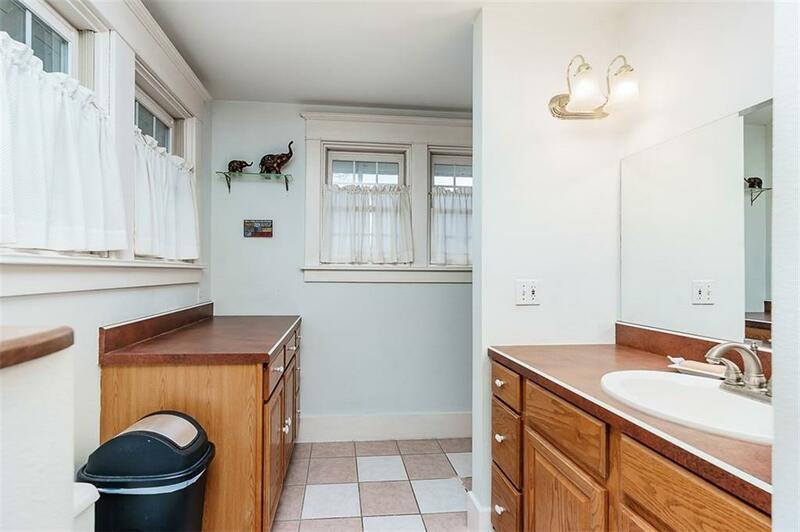 One block from schools, community pool and park.